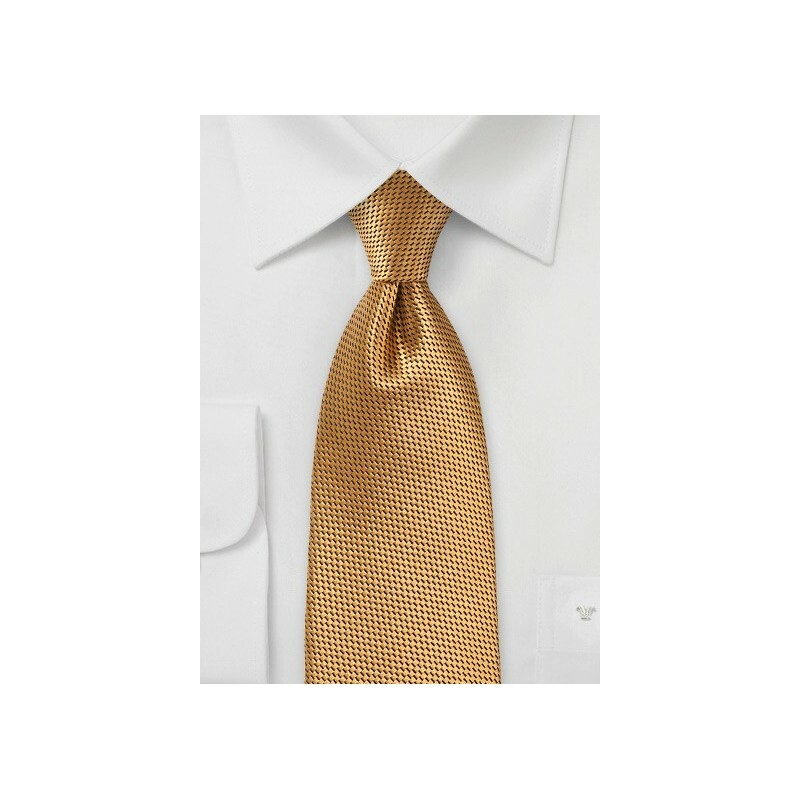 This uniquely woven silk tie stands out thanks to both texture and color. 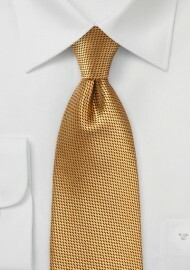 Made in XL length, this elegant designer tie is perfect for taller men above 6 foot 3 inches tall. The rich antique gold color is paired with a textured basketweave. A great looking tie for any dark colored suit and blazer. Also available in regular adult size as well as kids size. Handmade from 100% woven silk by designer Chevalier. 100% Silk | XL Length: 62", Width: 3.25"